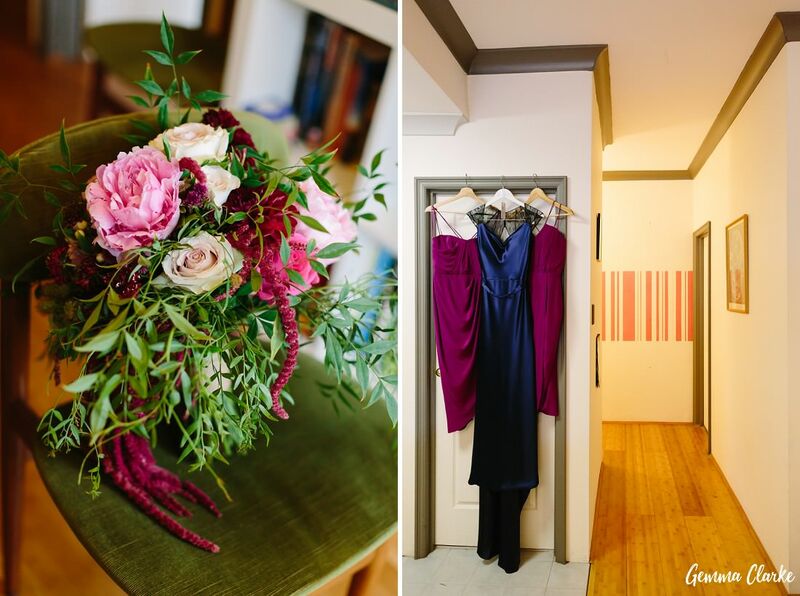 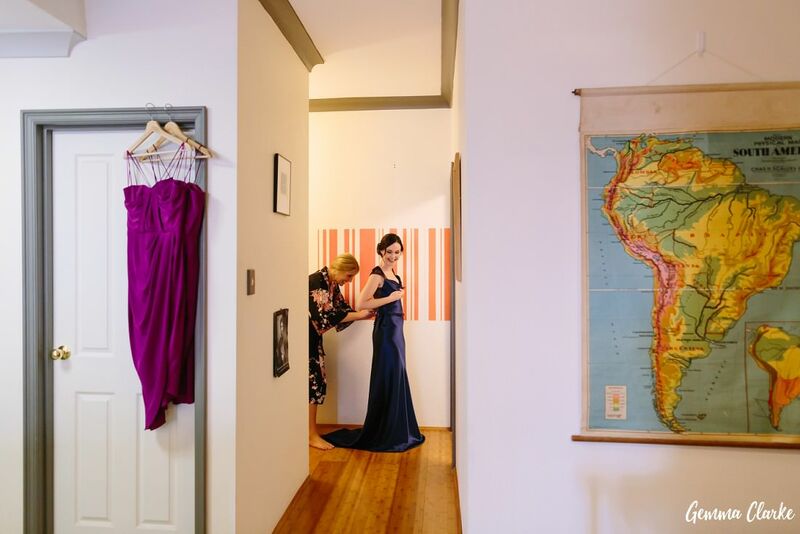 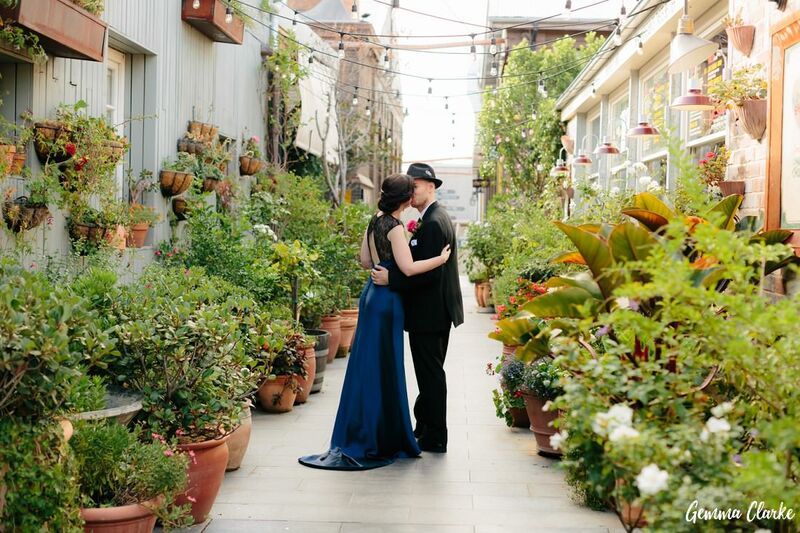 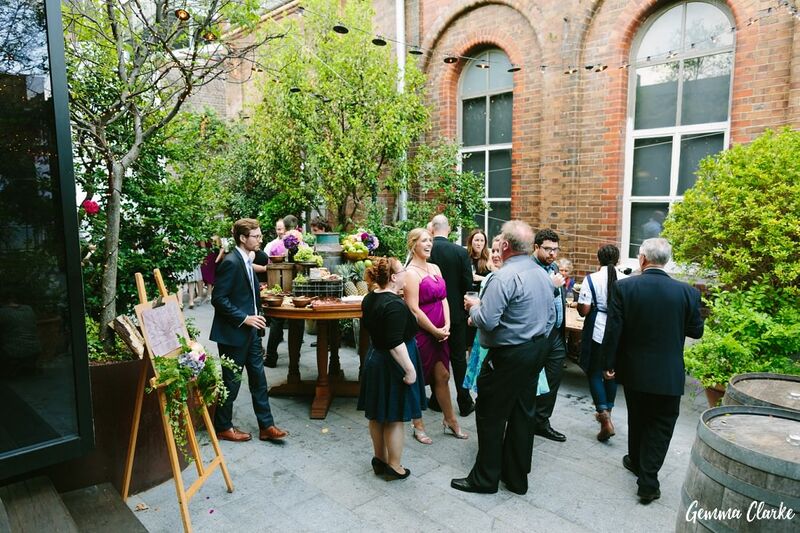 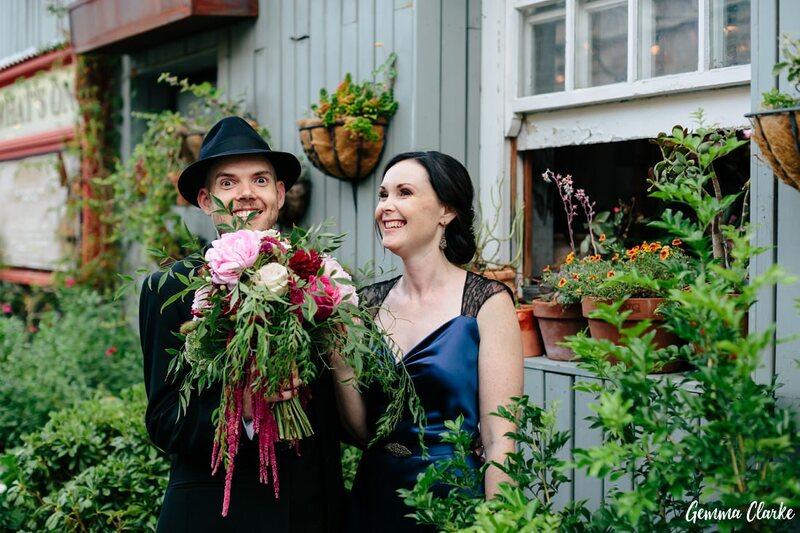 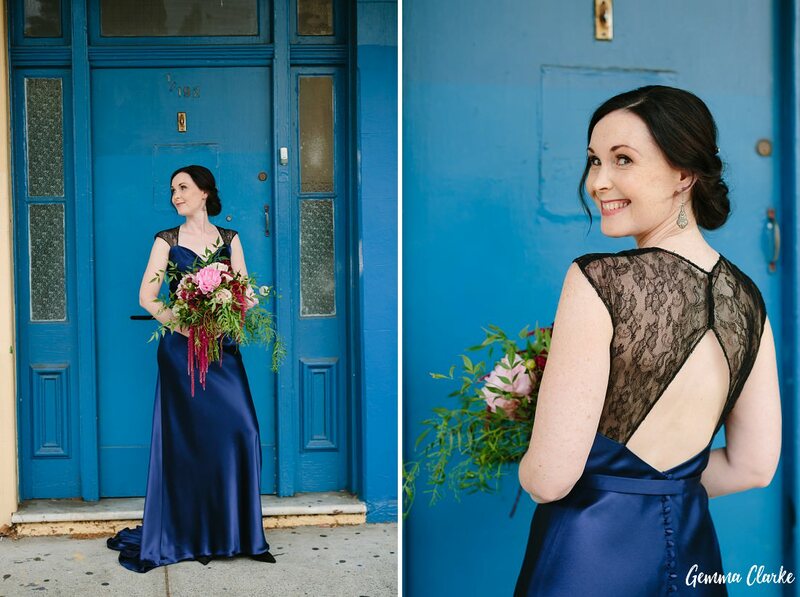 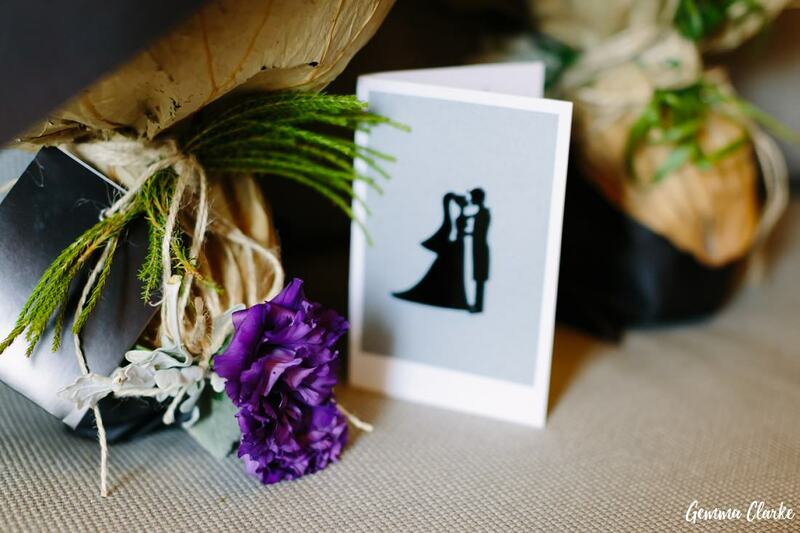 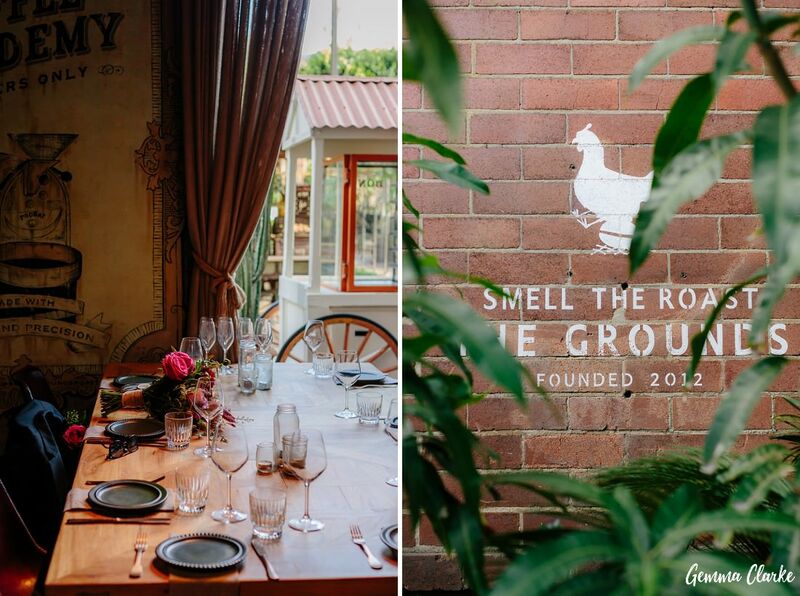 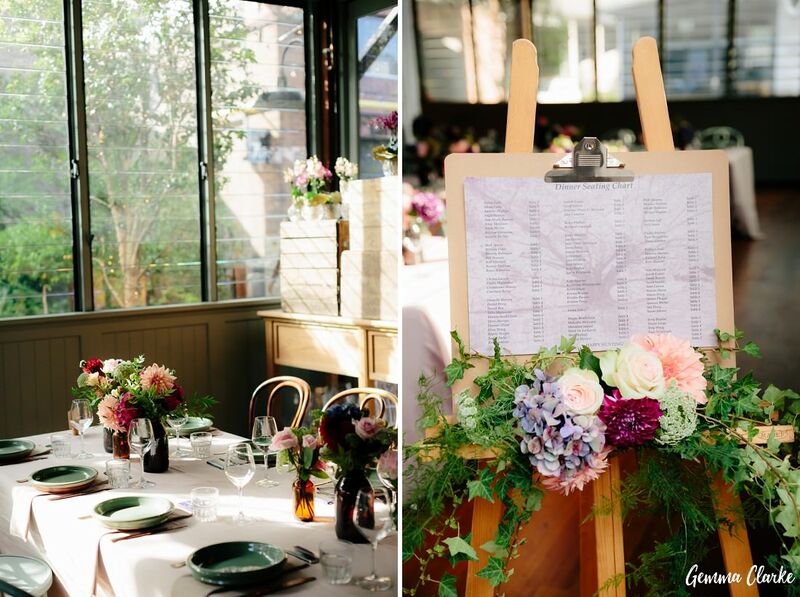 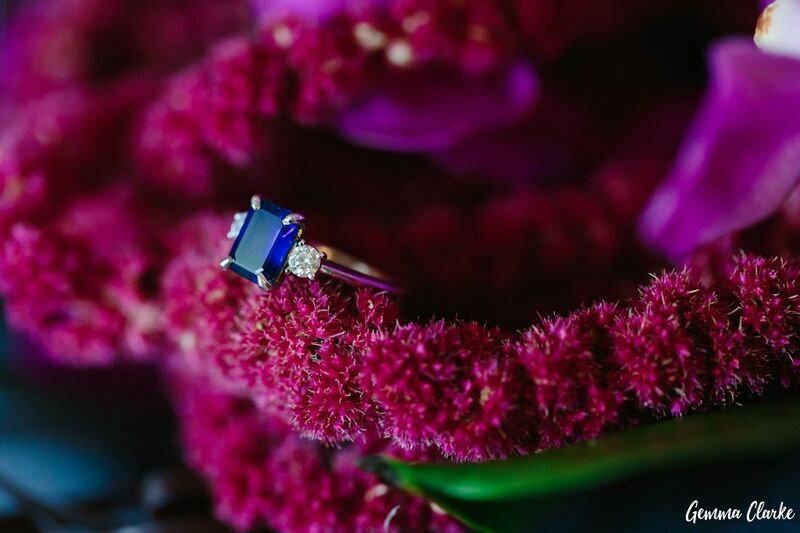 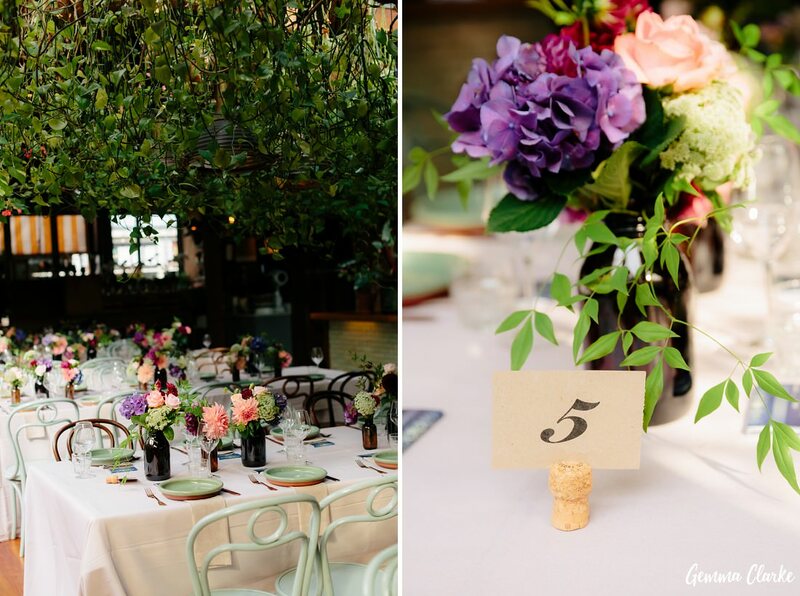 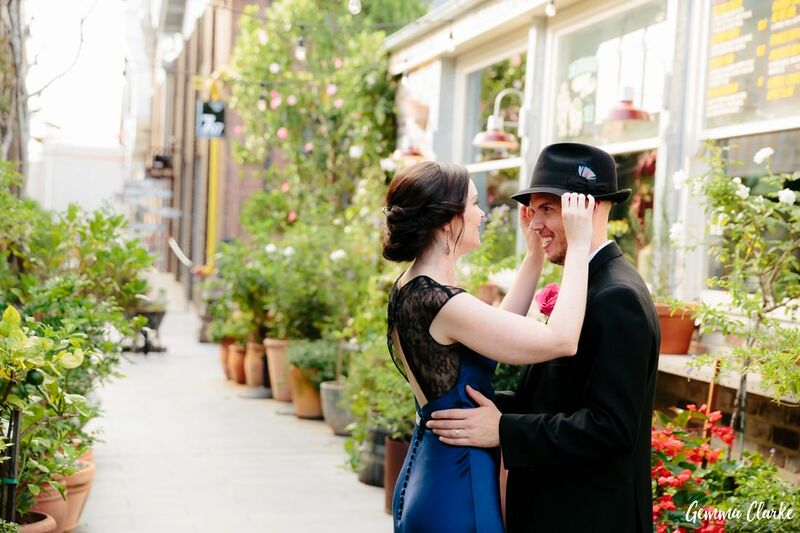 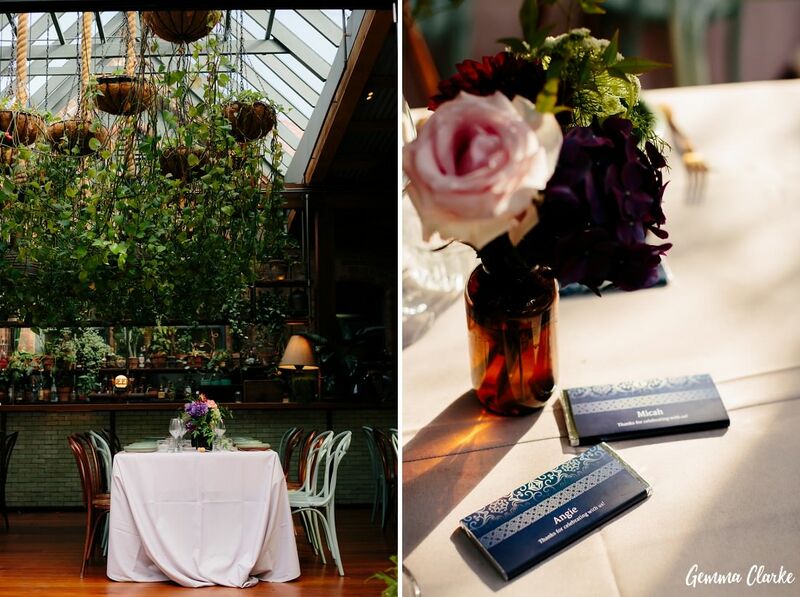 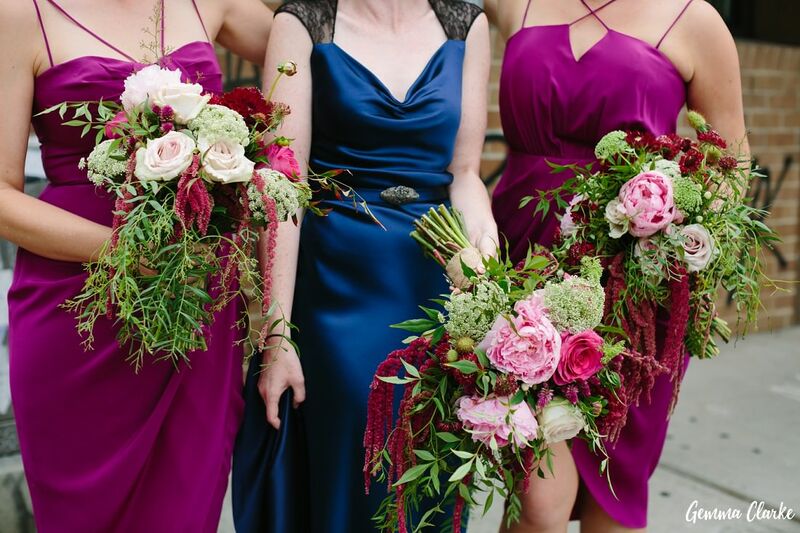 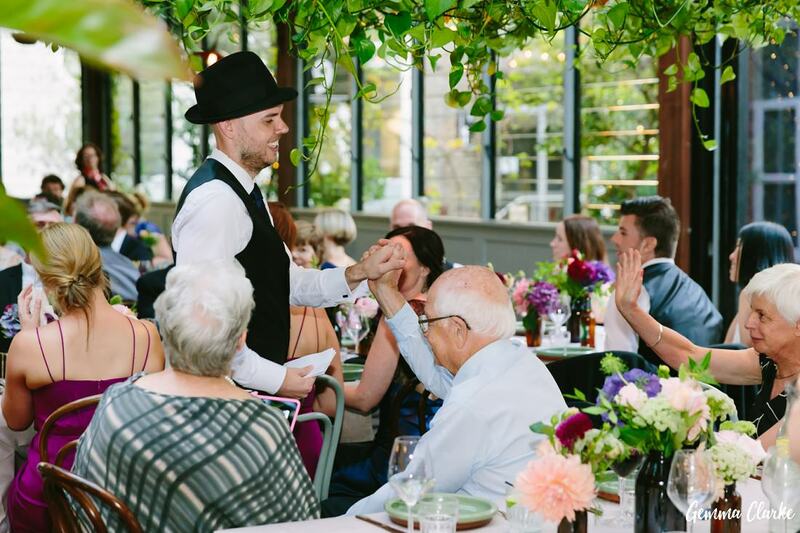 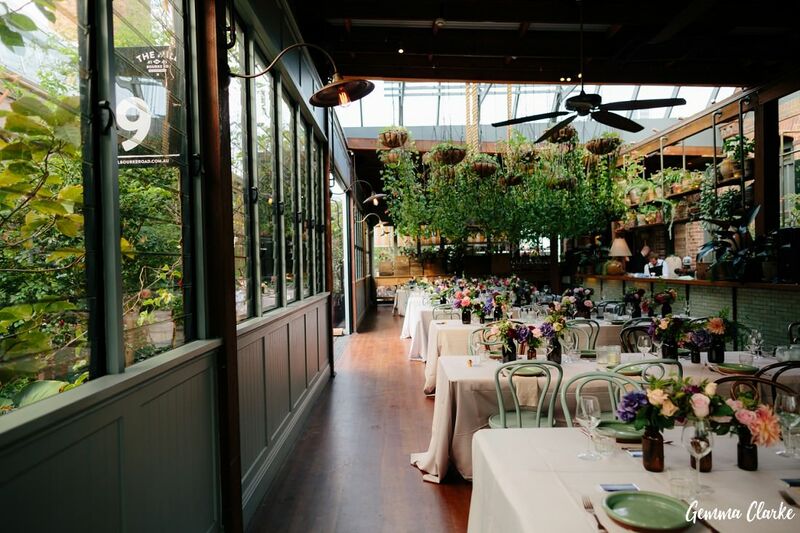 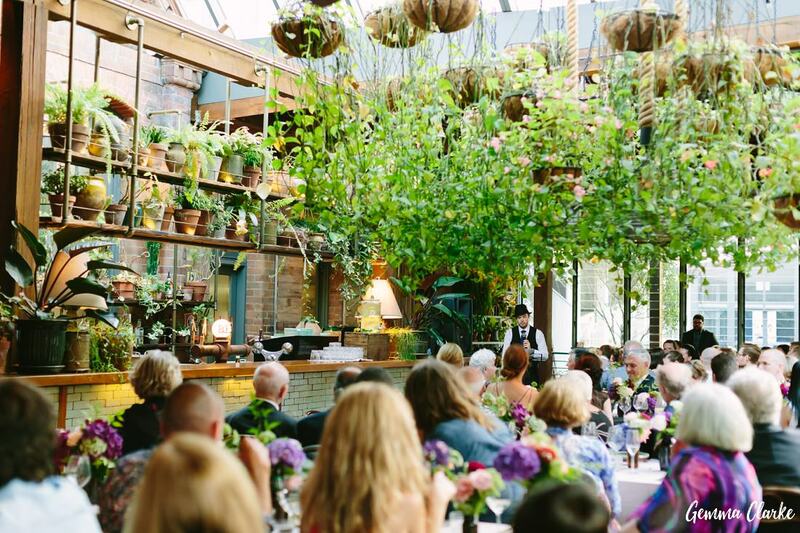 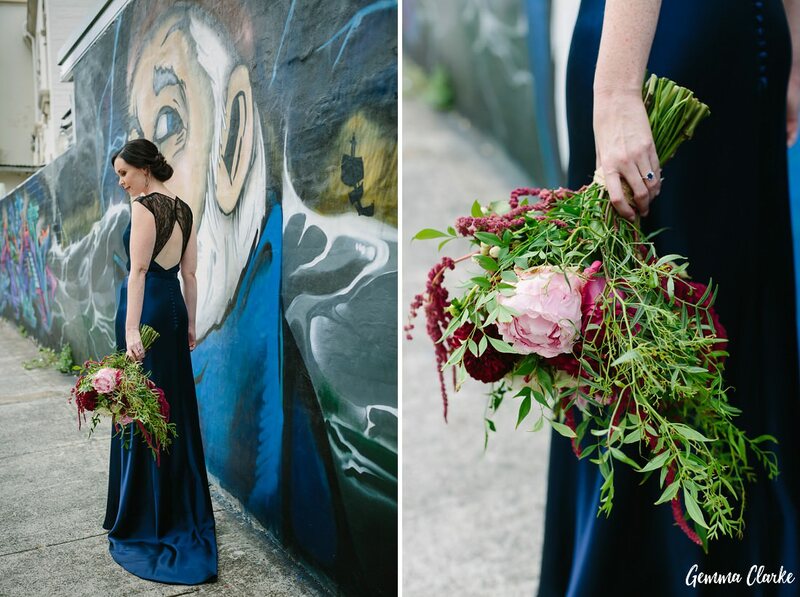 A blue wedding dress, urban garden wedding reception and belly dancers! 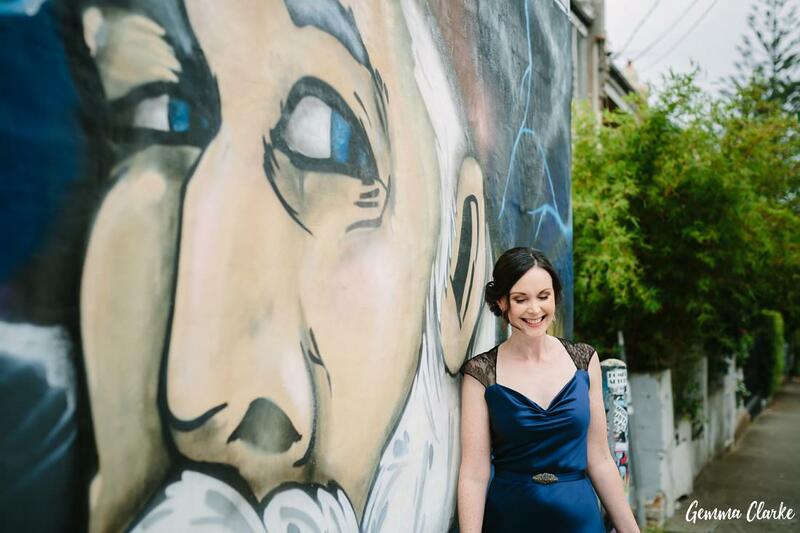 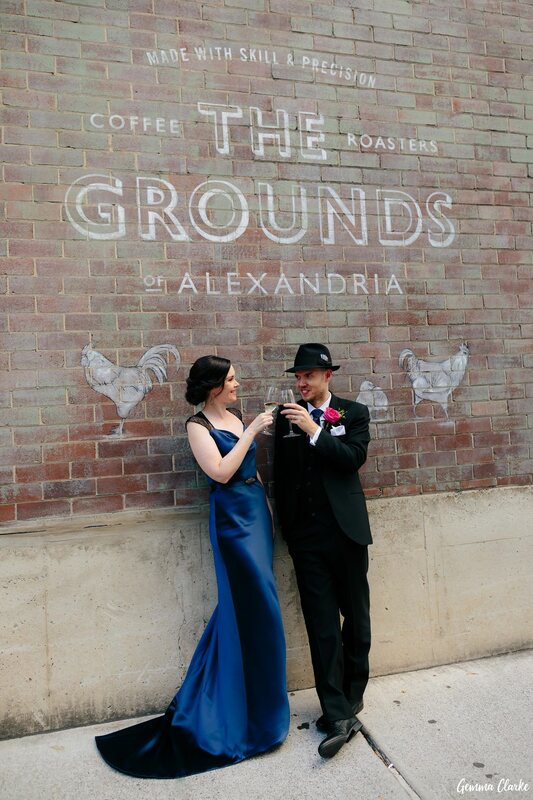 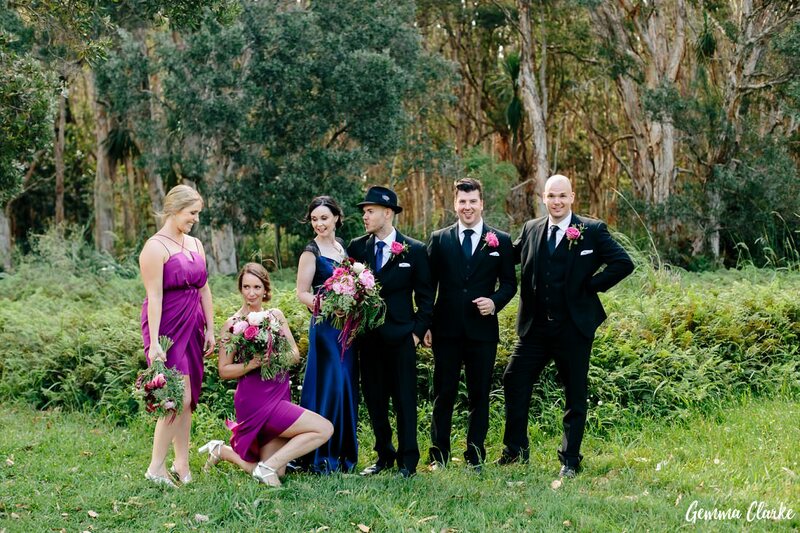 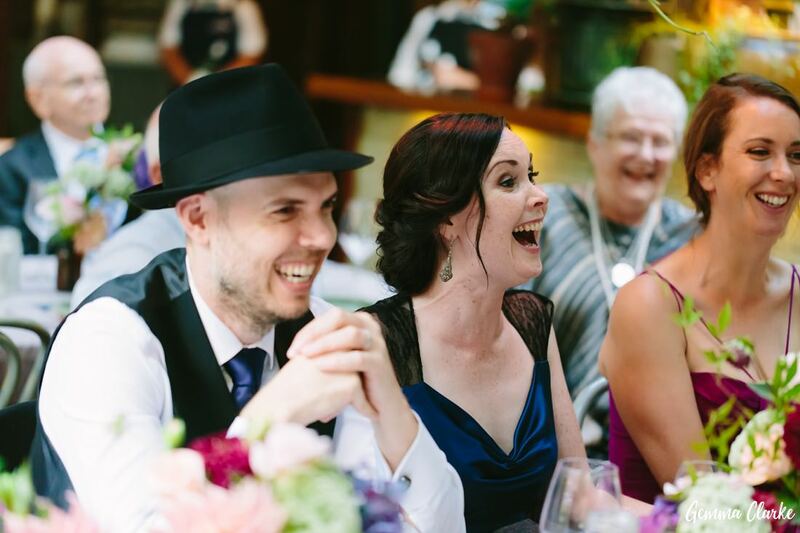 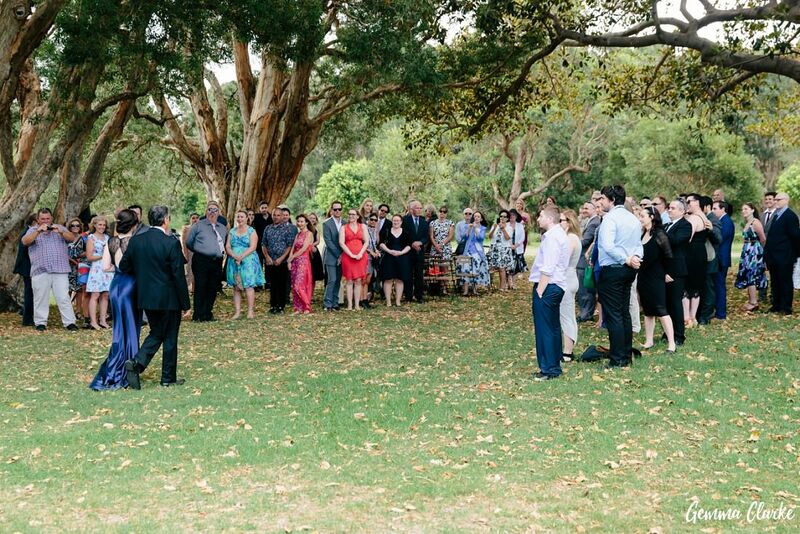 Angie and Mick’s Grounds of Alexandria Wedding was always going to be a relaxed affair. 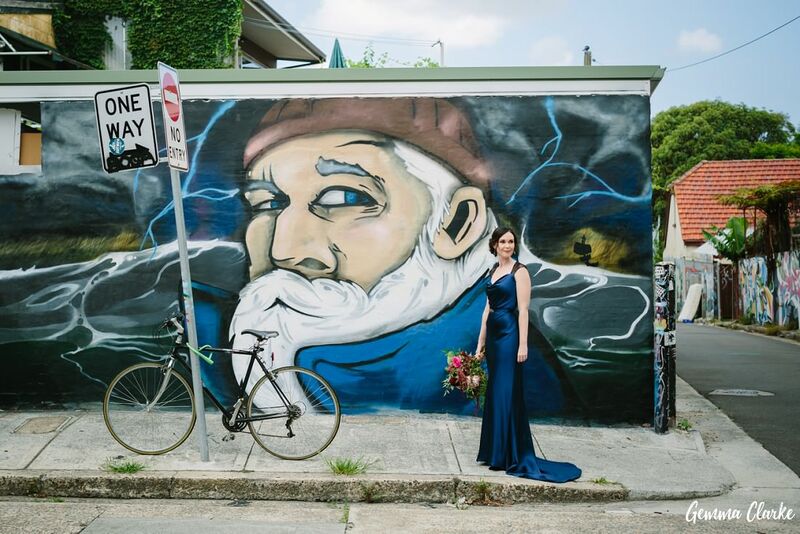 But it was also a little different and that reflected the personalities of the Bride and Groom. 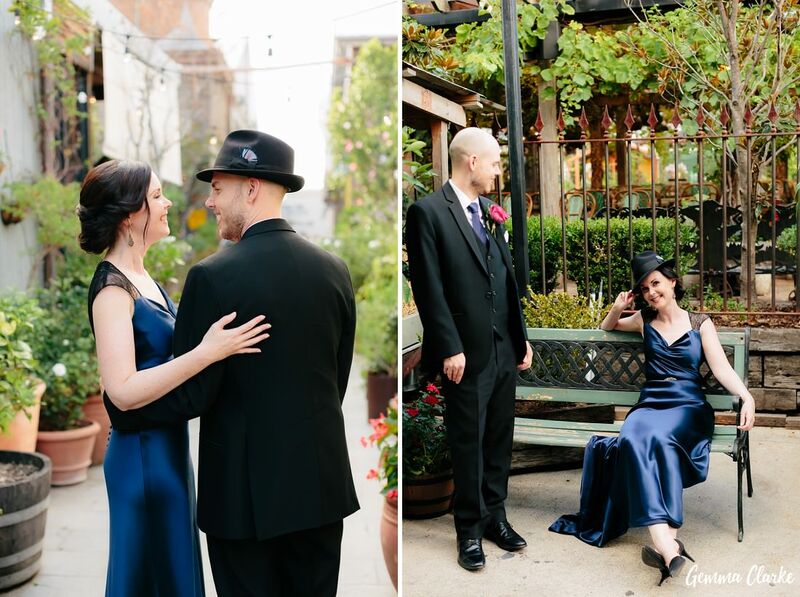 The first thing you may notice in the photos is that Angie wore a stunning dark blue and black gown instead of the traditional white. 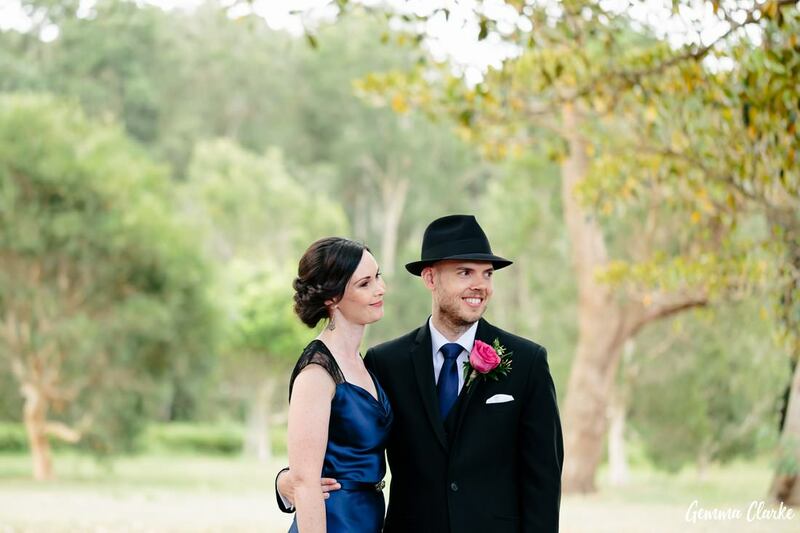 And Mick would never be without a hat so on wedding day it was no surprise to see him donning a gorgeous black number! 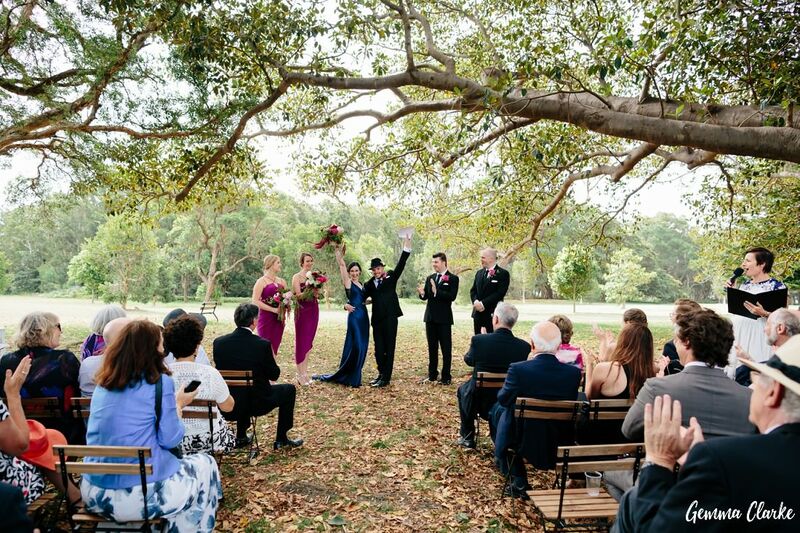 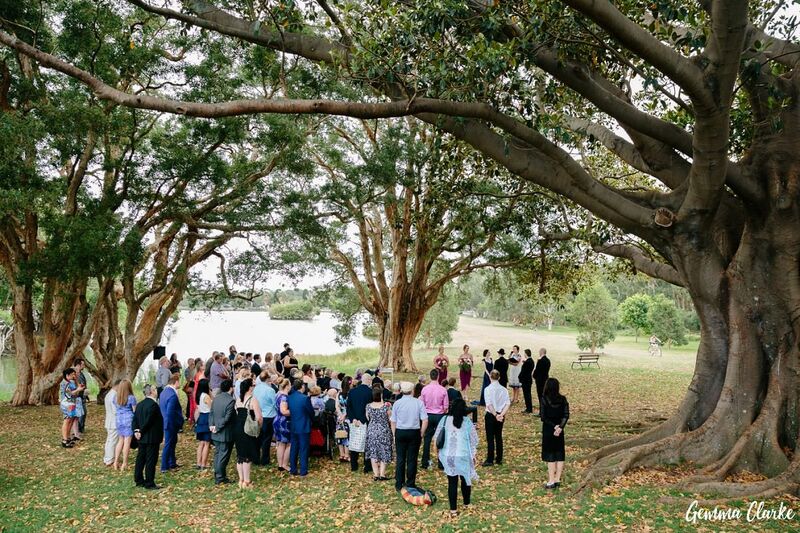 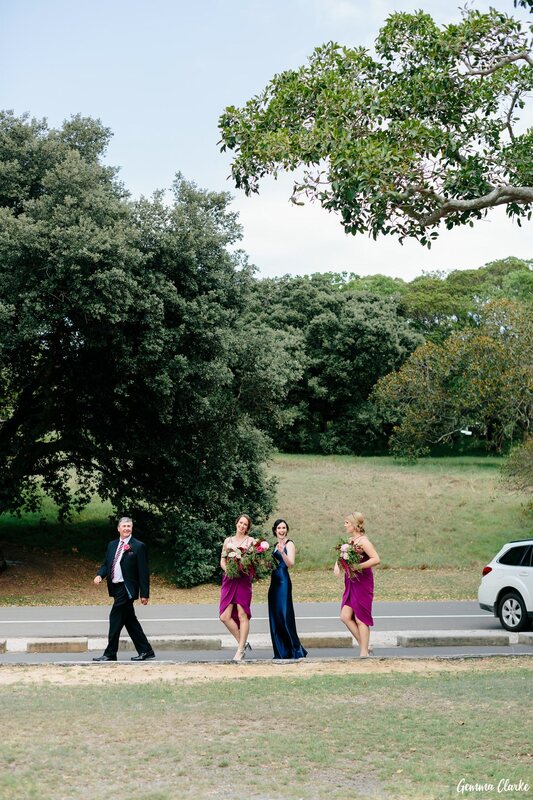 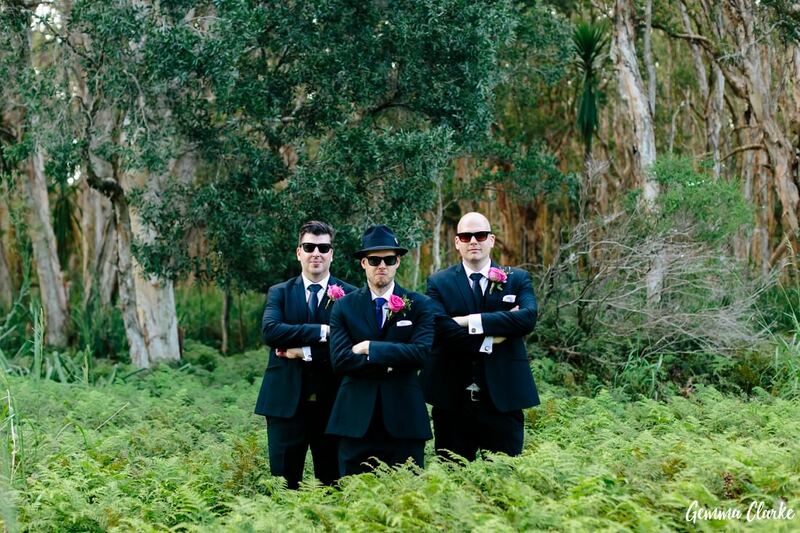 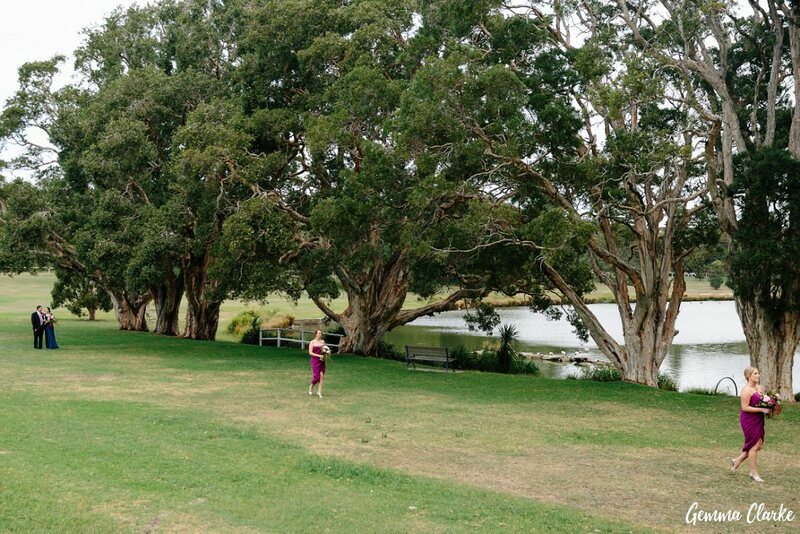 The ceremony was held under a big fig tree in Centennial Park to ensure they had a nice shady spot in the summer sun. 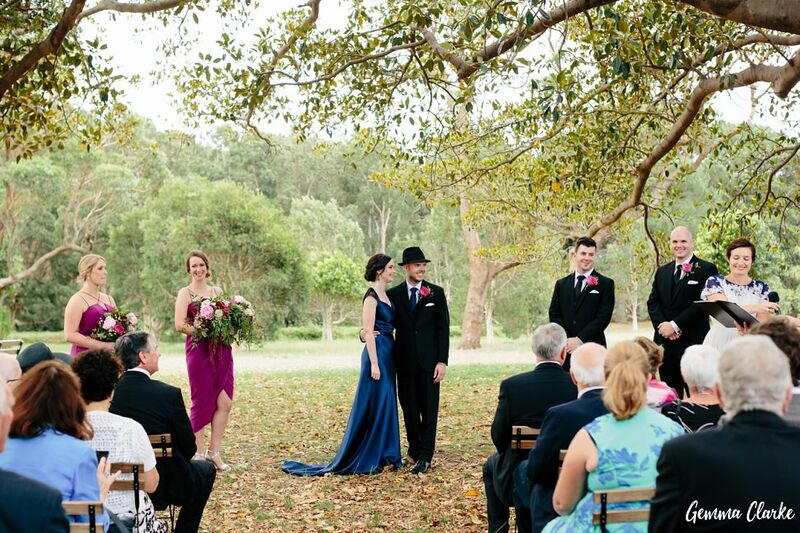 The ceremony went off without a hitch and the parents and grandparents were looking on with such adoration. 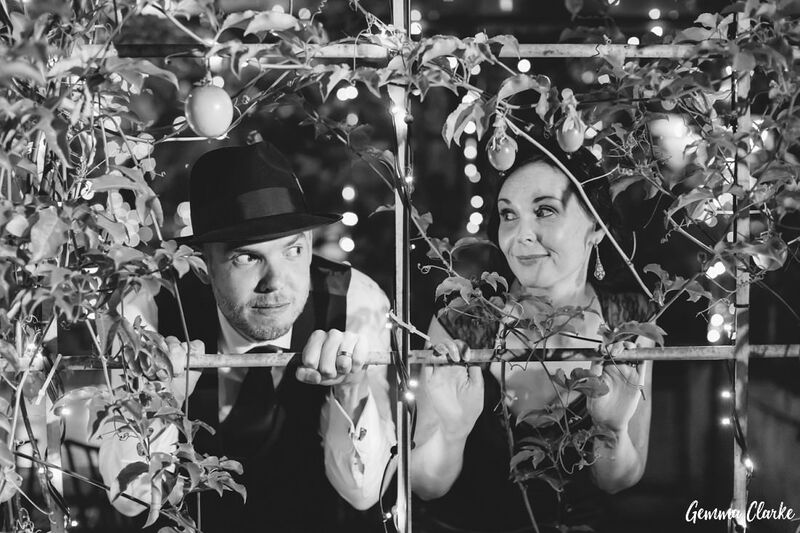 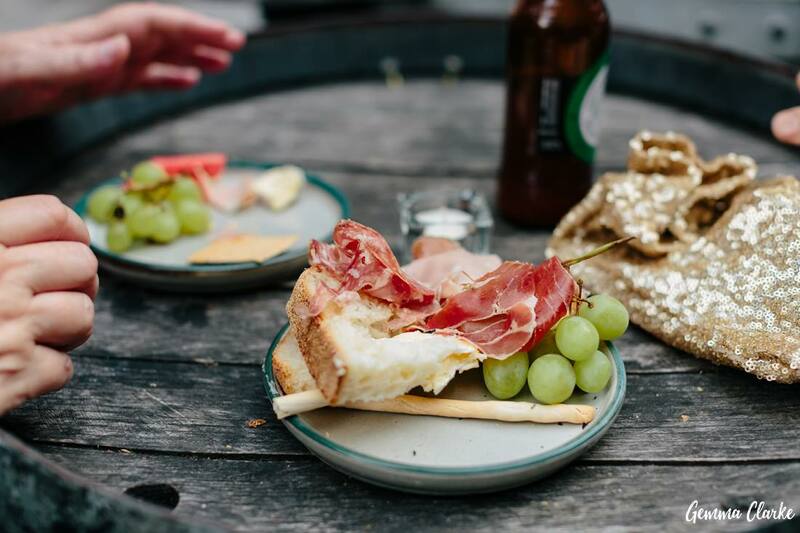 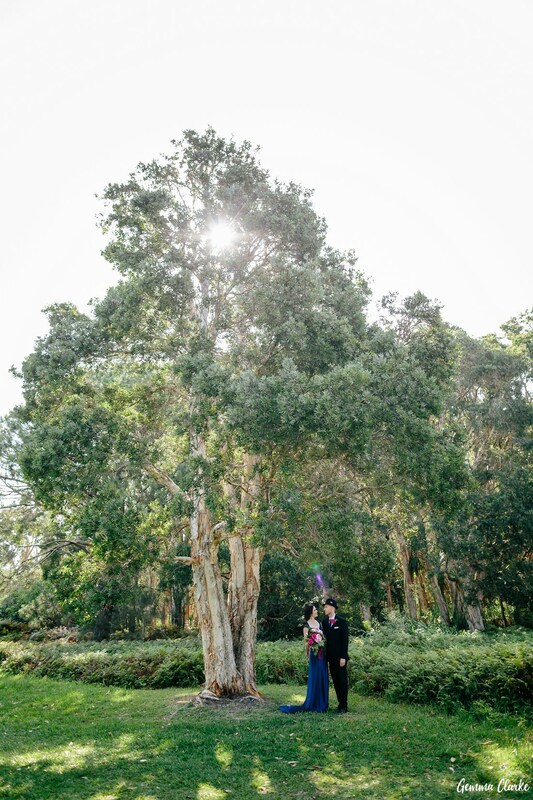 After some drinks and photos in the forest it was time to head to the gorgeous urban forest of the Grounds of Alexandria to celebrate stage two of the wedding – the party!! 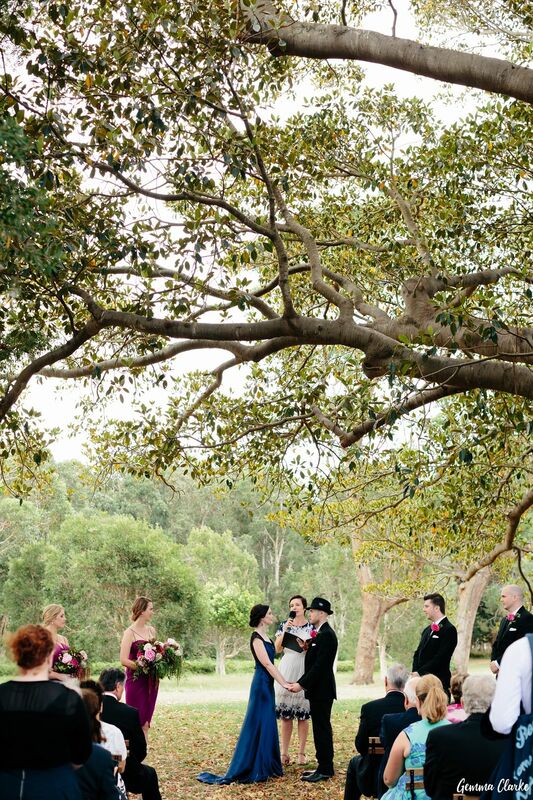 I felt very privileged to be the photographer for this Grounds of Alexandria Wedding. 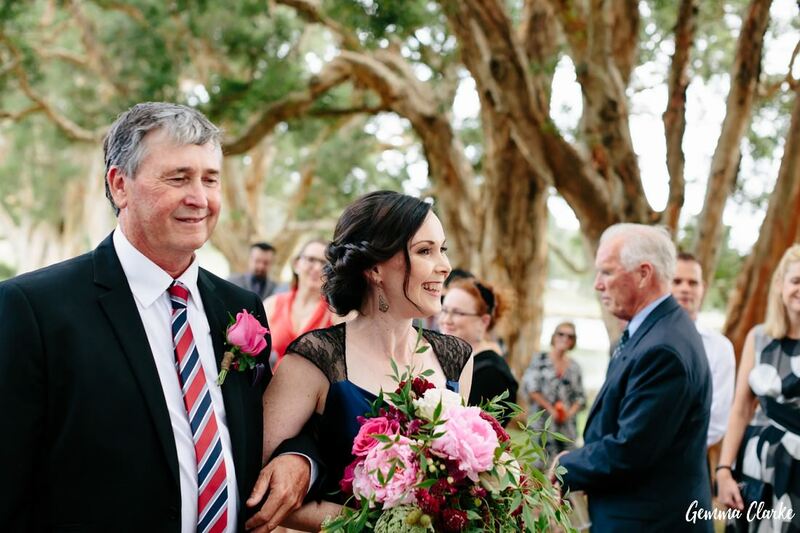 Angie and Mick are the third couple I have photographed in Mick’s family and I have come to grow fond of all the characters over the years including Mick’s mum who makes the most amazing and memorable speeches and Jimmy, Mick’s grandfather who can be very cheeky and knows how to bust a move on the dance floor! 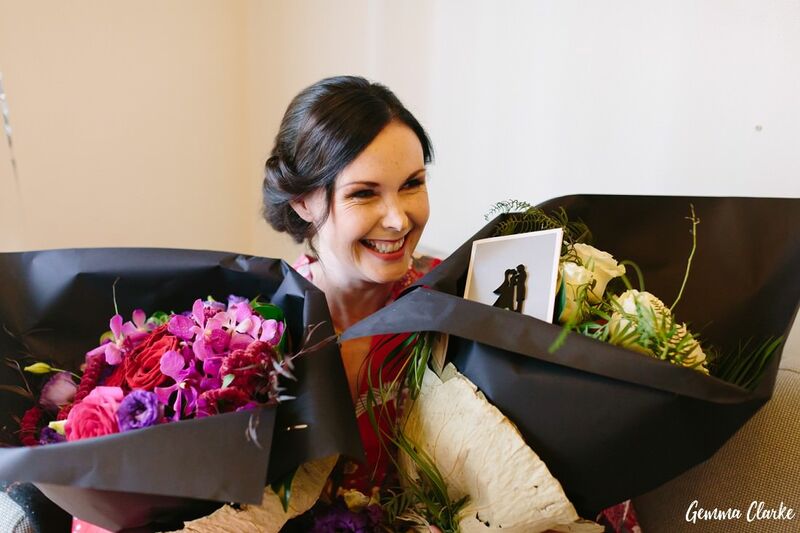 And I have to say that all the speeches were absolutely outstanding but I want you to know that Angie’s speech is the best bride’s speech I have ever heard – witty and intelligent; a true testament to the lady herself! 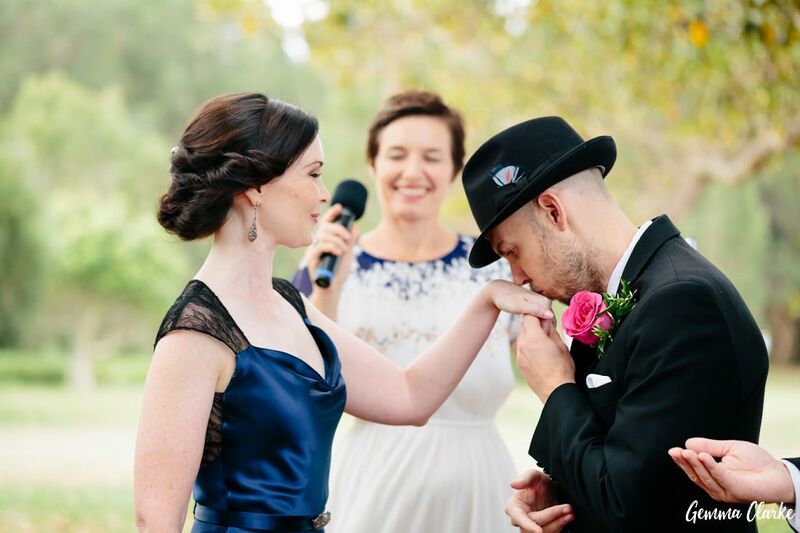 Well done Angie, you deserved an Oscar for that speech ;). 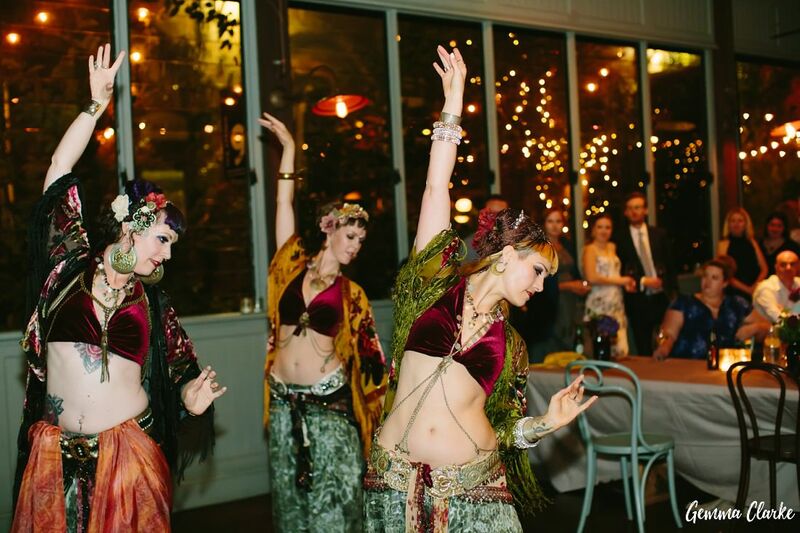 The first dance was replaced with a tantalising bellydance performance by the Oreades Tribal Bellydance group. 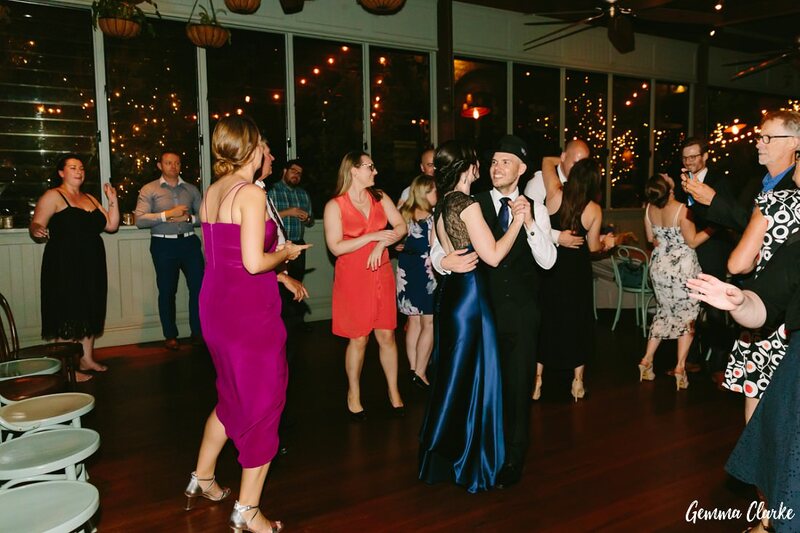 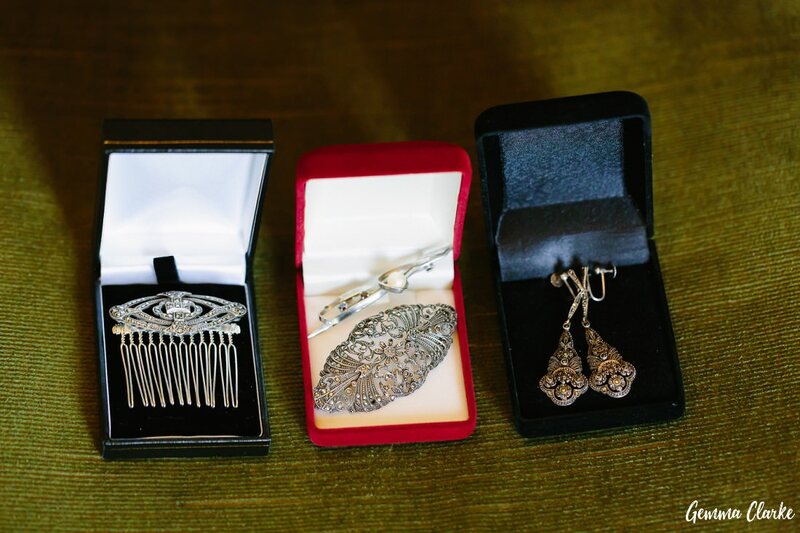 The guests were mesmerized with the way they moved around the room at ease balancing baskets on their heads and swirling beautiful pieces of material around. 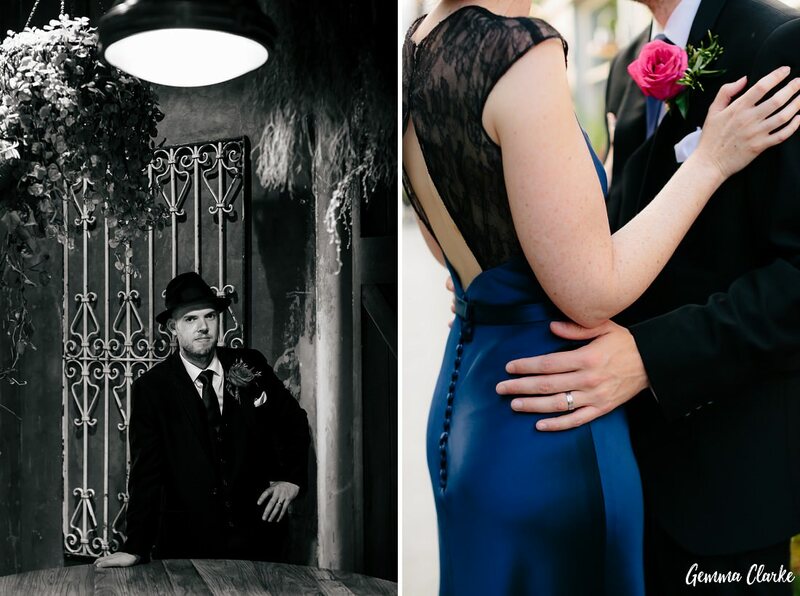 They certainly knew how to work those hips too! 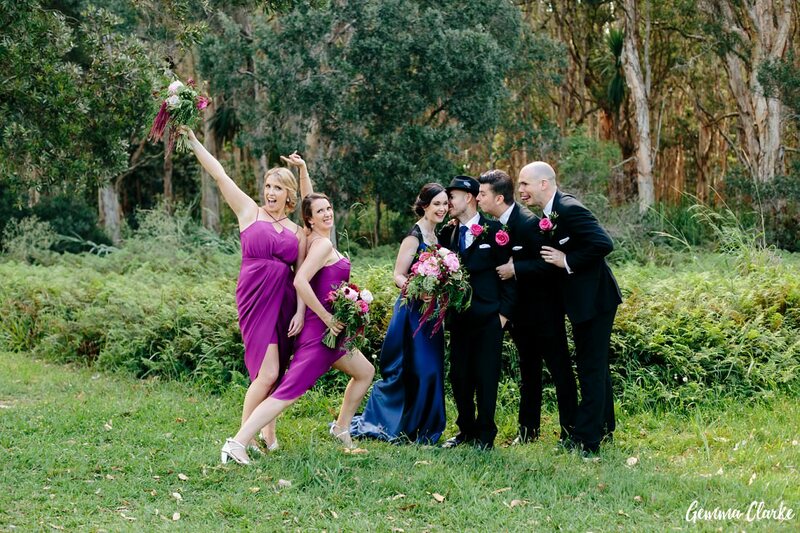 I am finding bride and grooms are choosing to forego the first dance in order to get their guests straight up on the dancefloor and ready to party! 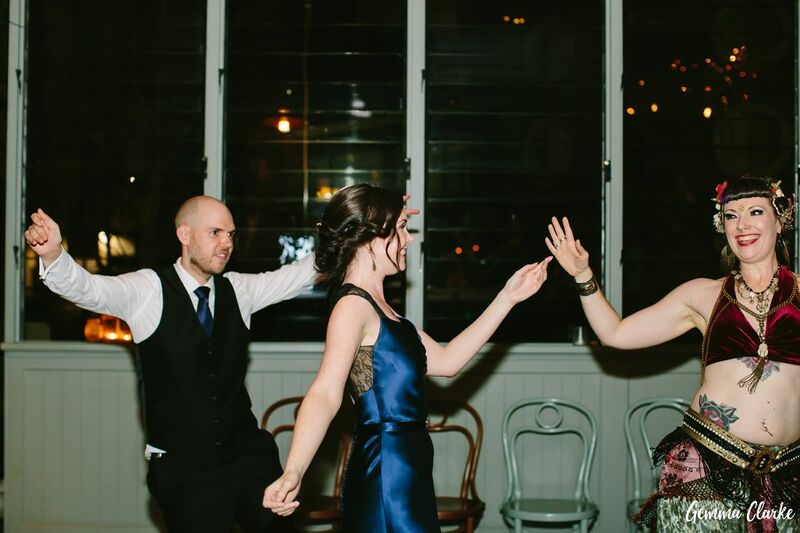 This was certainly a very successful way to get the energy levels up as everyone was so excited and eager to shake their booty! 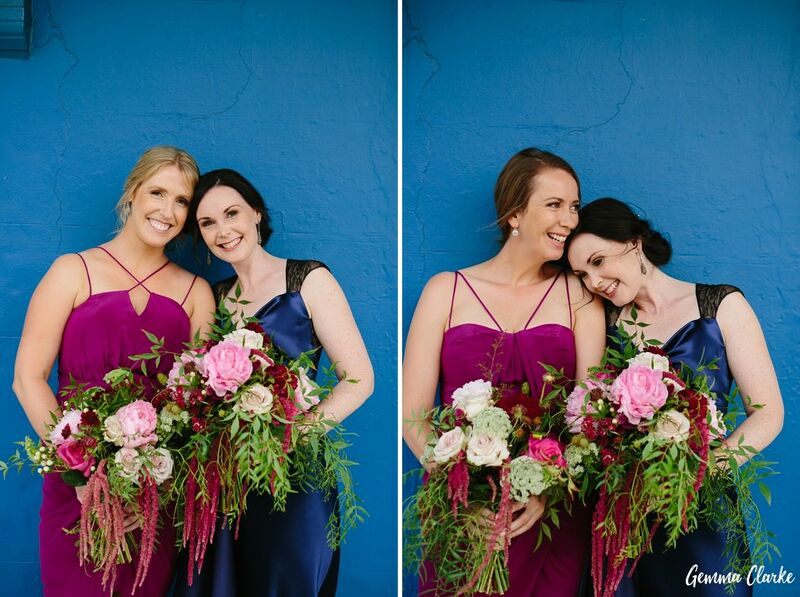 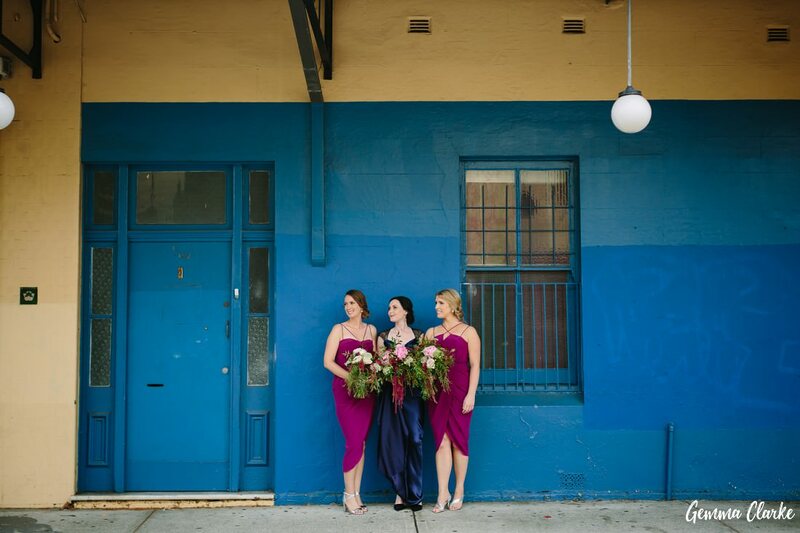 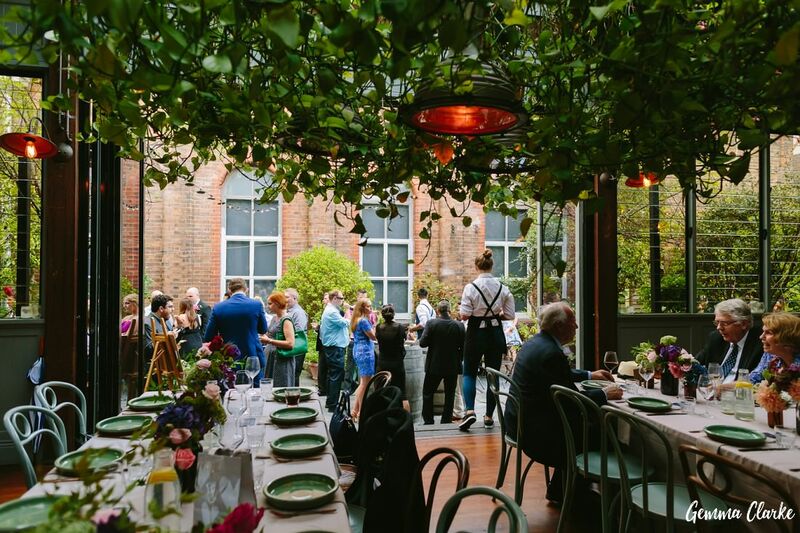 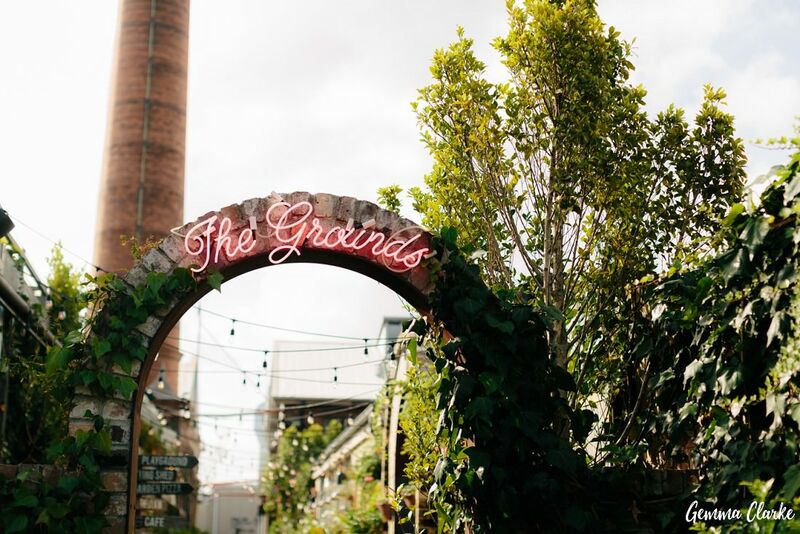 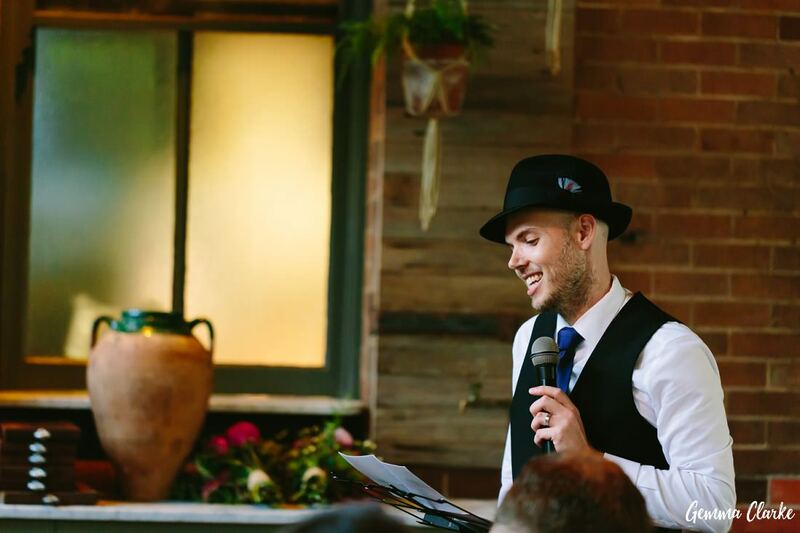 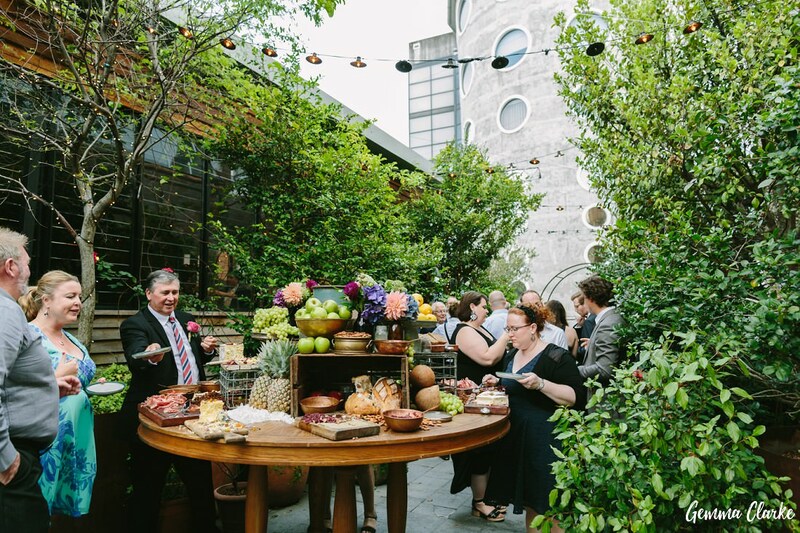 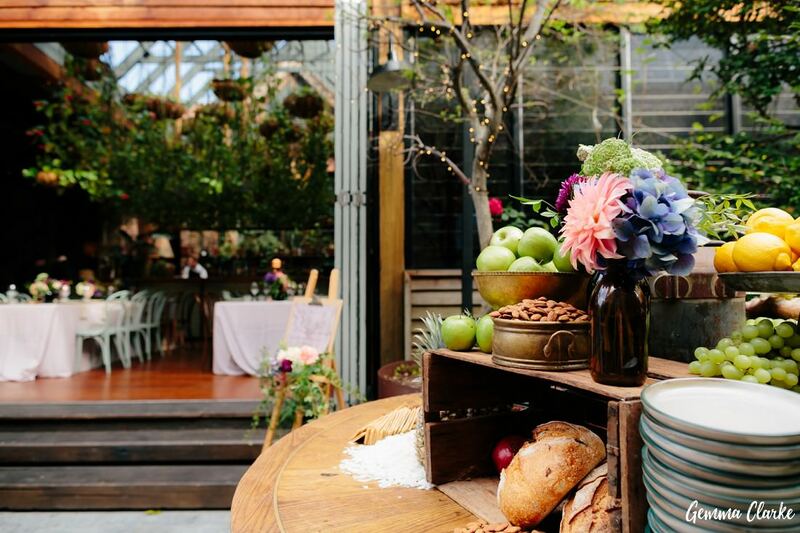 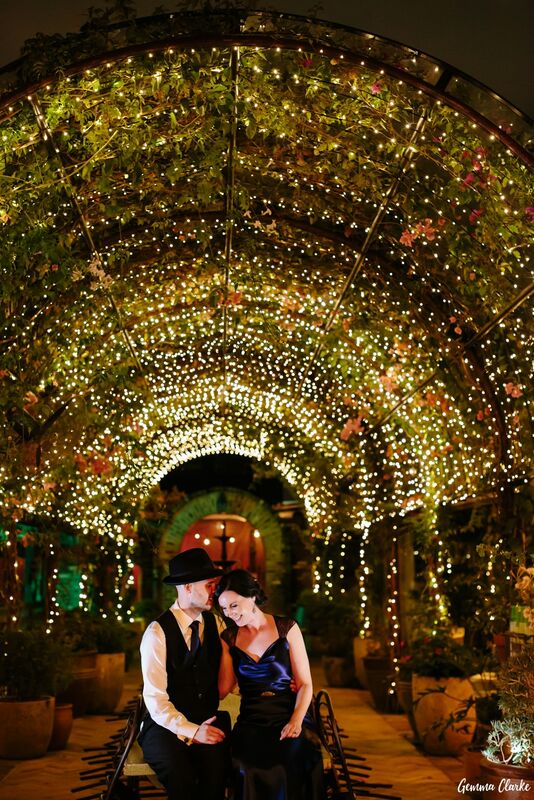  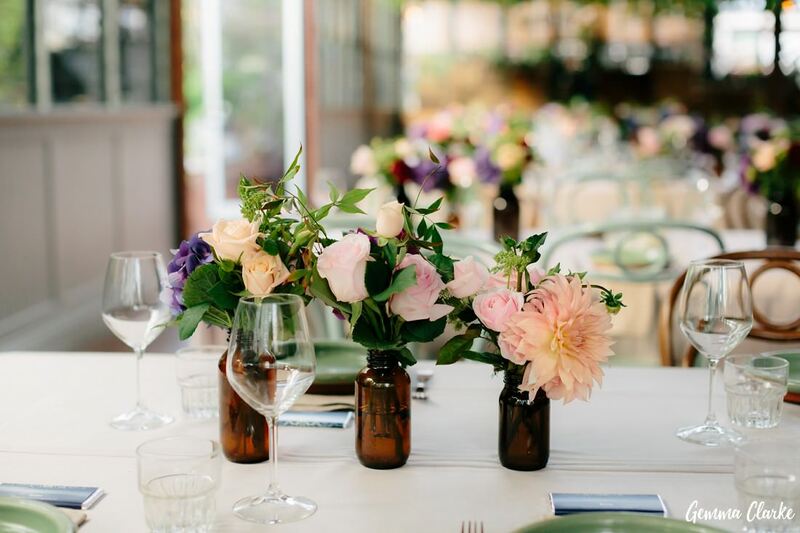 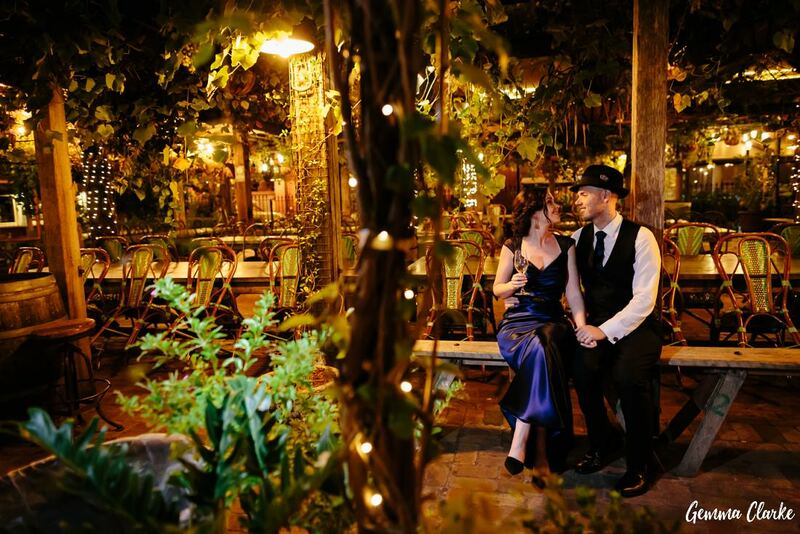 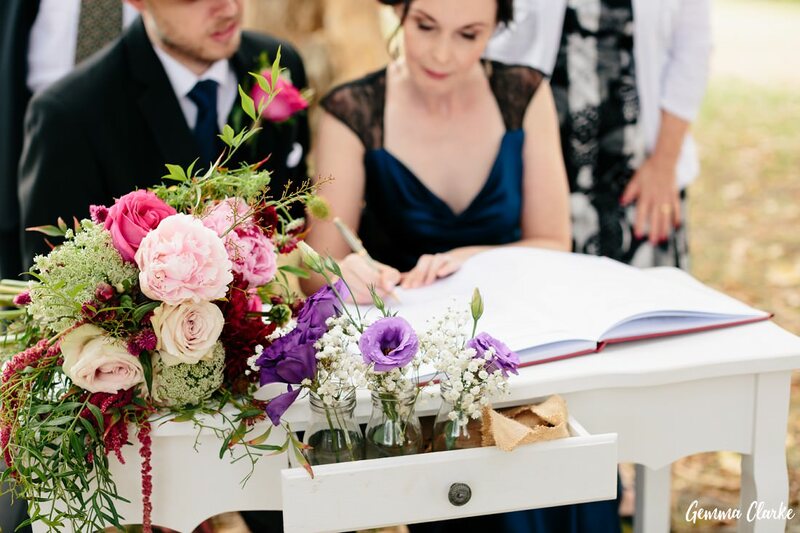 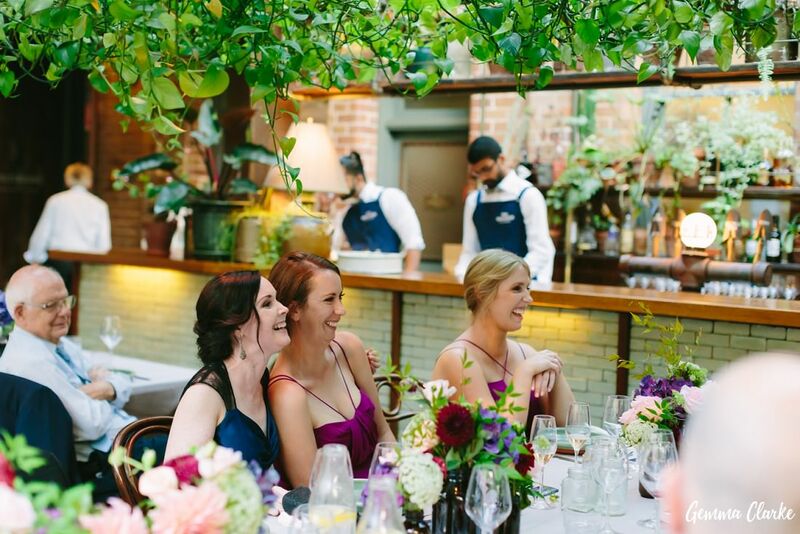 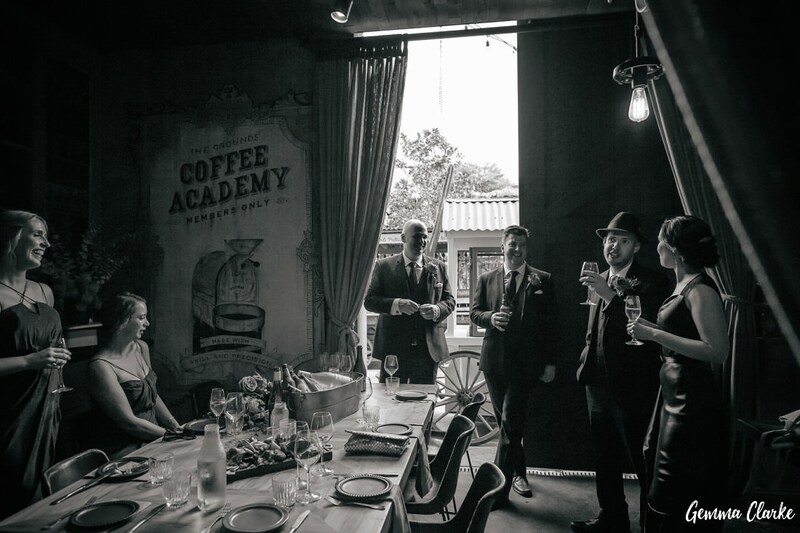 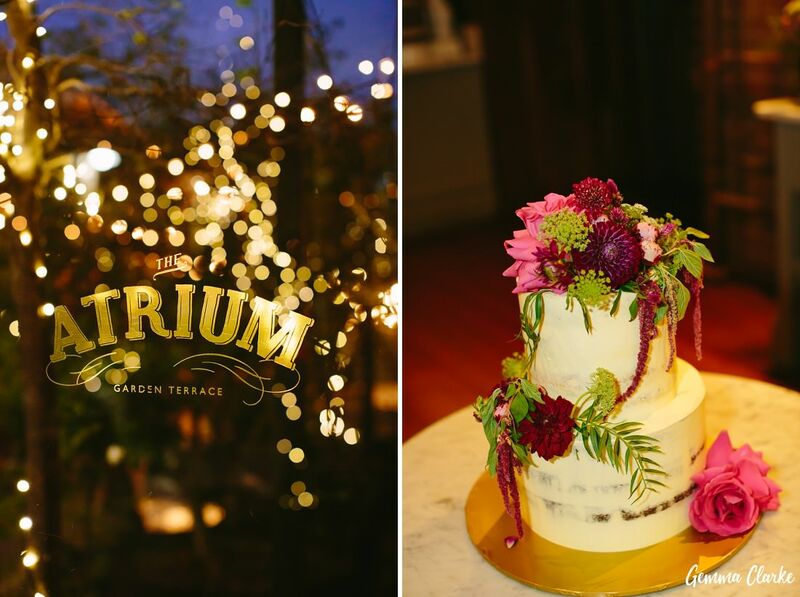 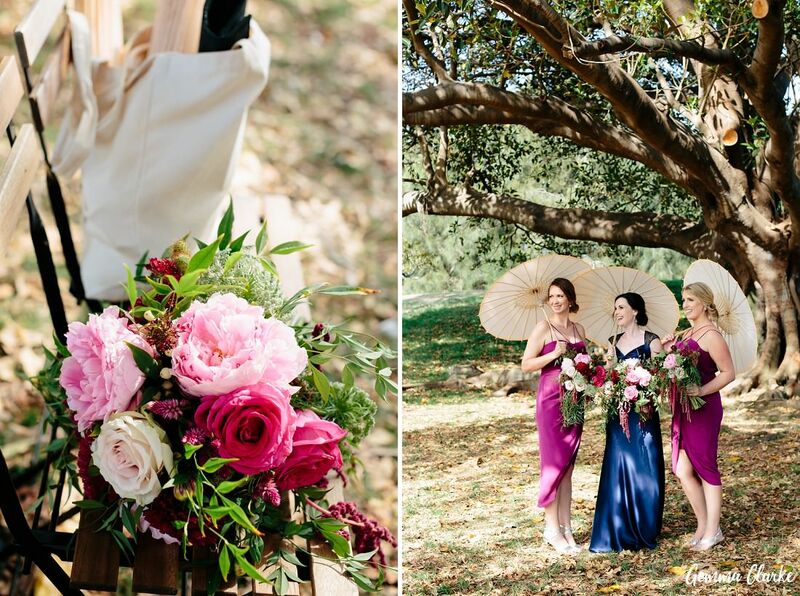 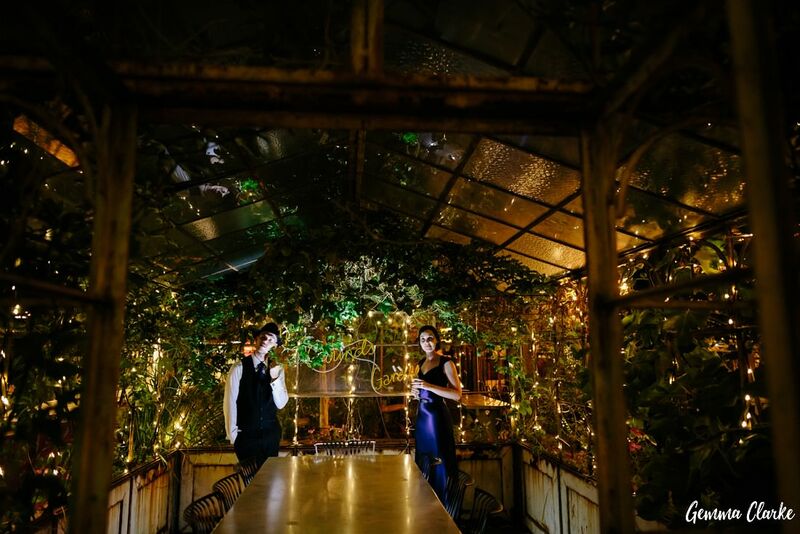 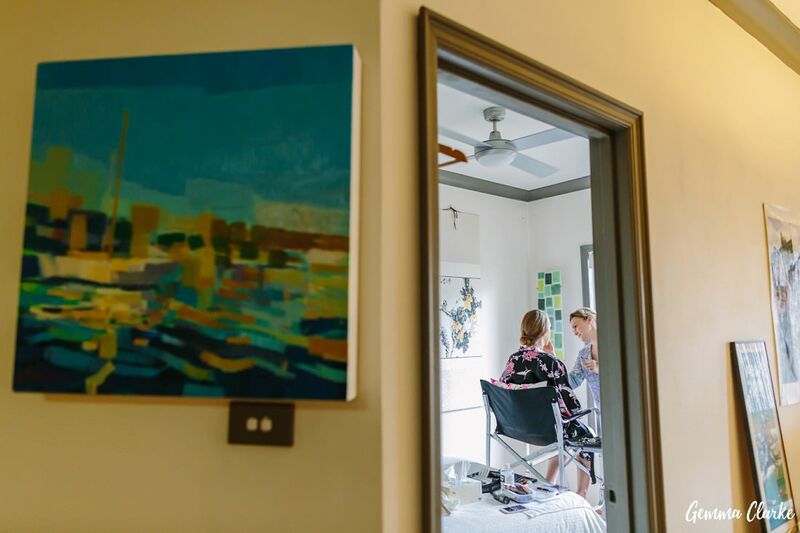 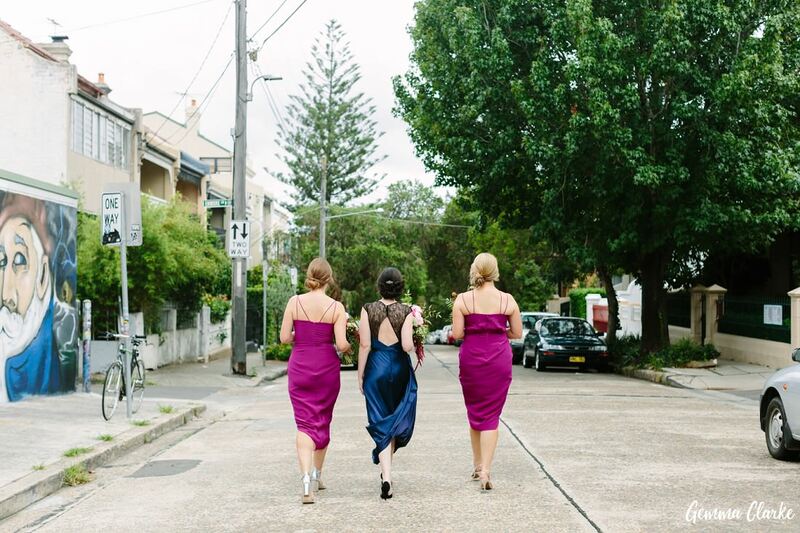 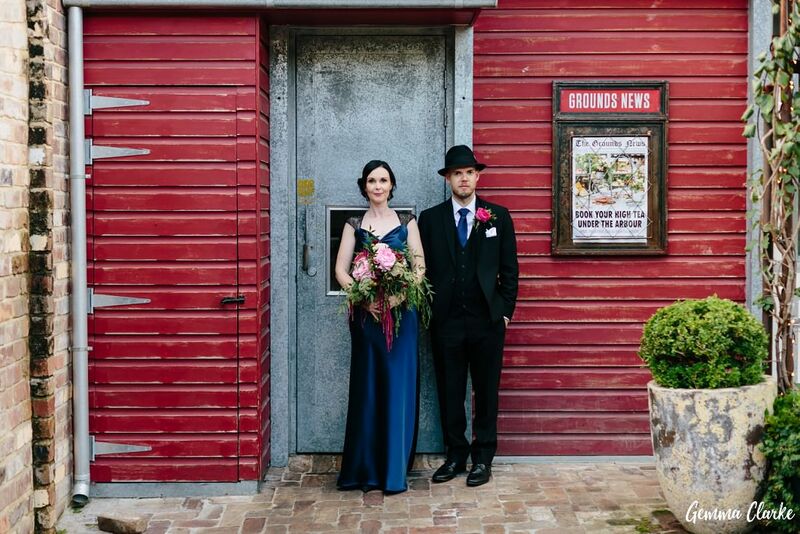 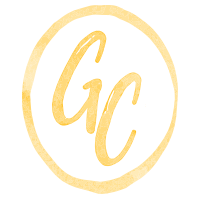 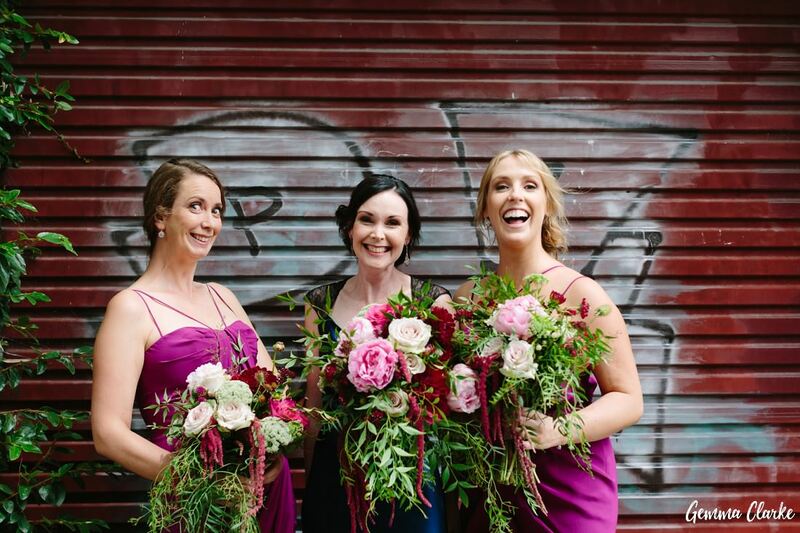 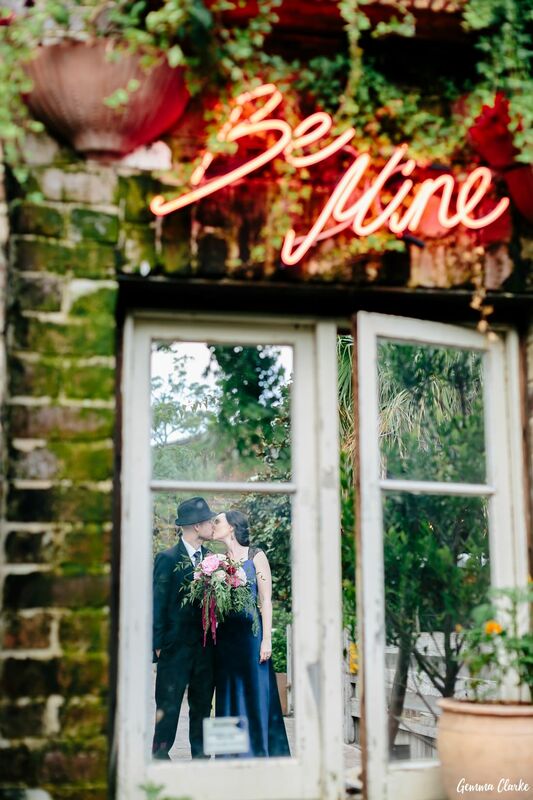 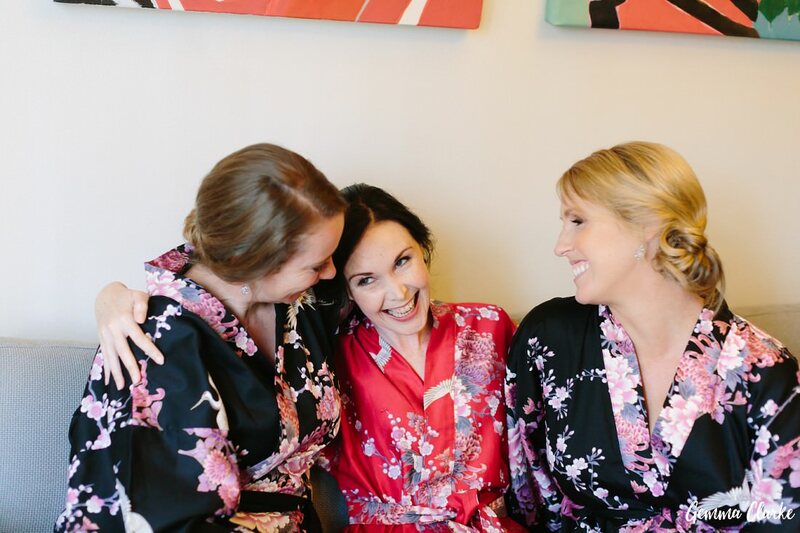 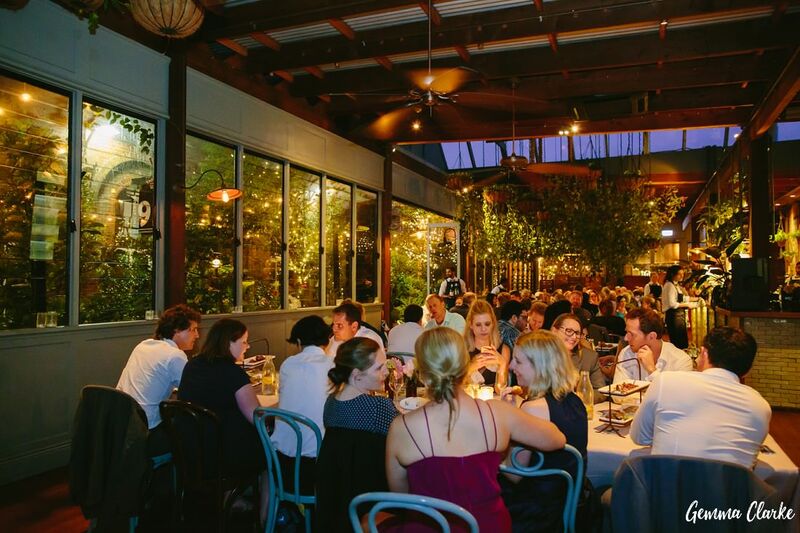 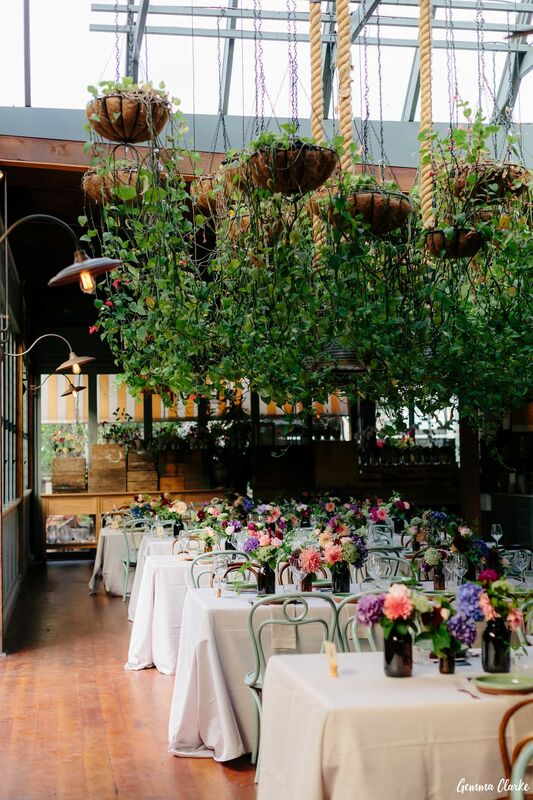 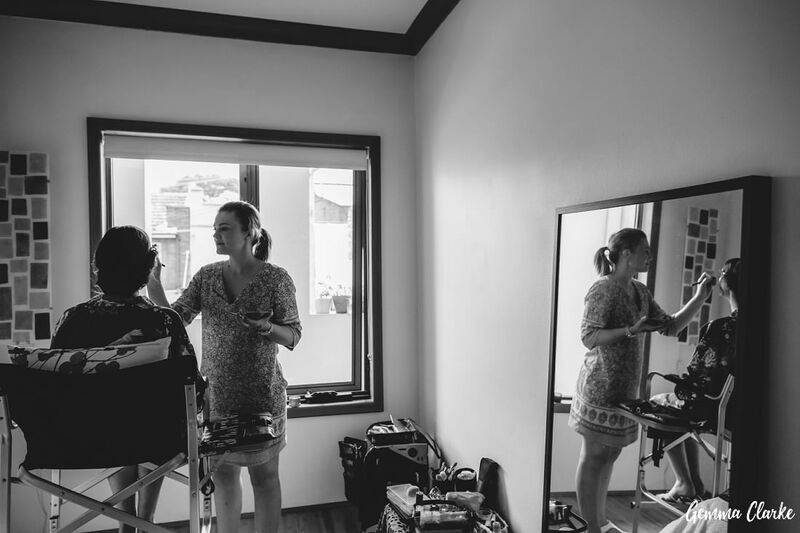 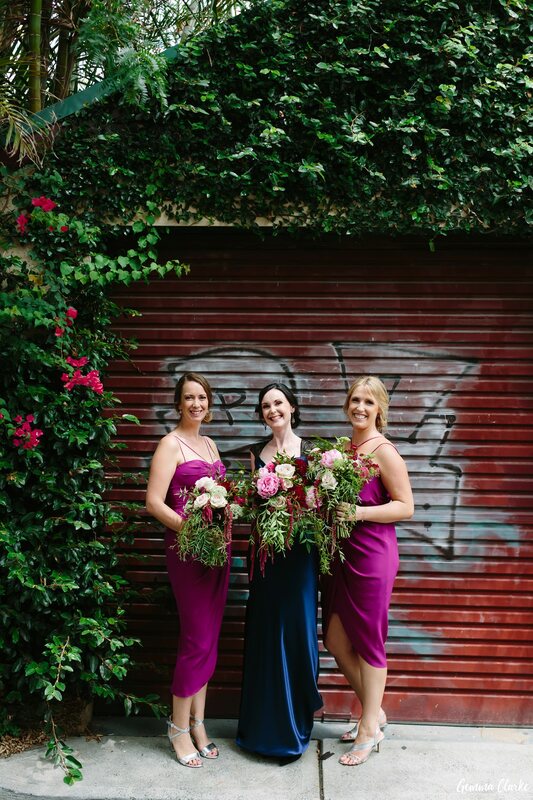 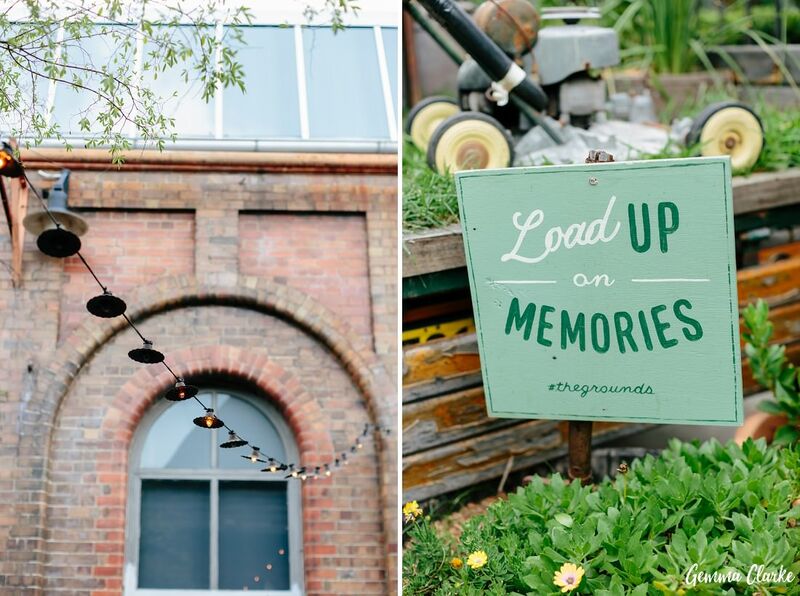 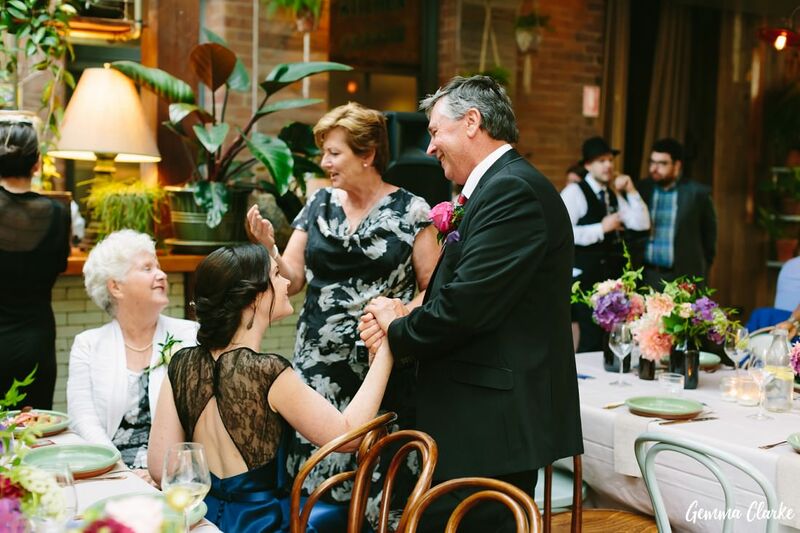 Please enjoy looking through this stunning wedding – from the urban back lane Newtown portraits to the culinary spread in the Atrium at the Grounds of Alexandria to the stunning bellydancers! 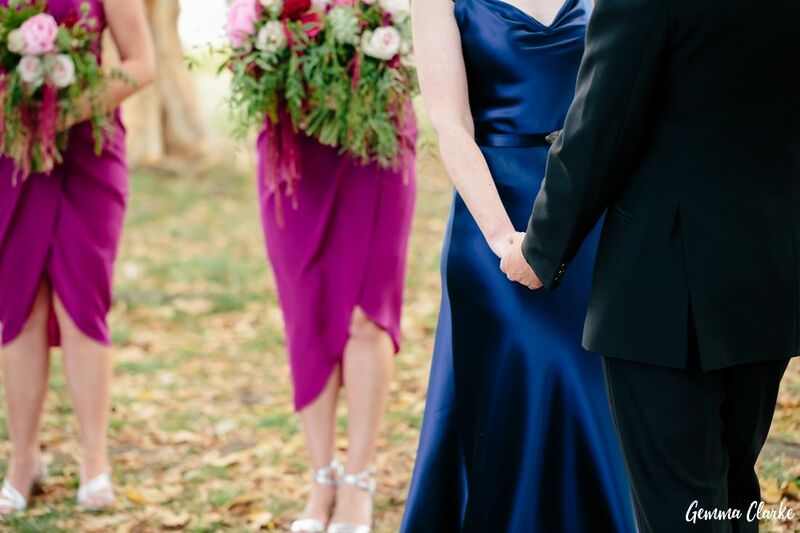 Bride’s Dress: Jennifer Regan / Bride’s shoes: Milana via David Jones / Bridesmaids’ dresses: Rodeo Show / Flowers: The Grounds Florals by Silva / Hair and Make-up Artist: Niki Simpson / Engagement ring: Australian Diamond Brokers / Wedding rings: Diamond Galleria / Jewellery/Accessories: Chilton’s Antiques and Tresors / Celebrant: Jessie Cacchillo / Ceremony Venue: Centennial Park / Reception Venue: The Atrium, Grounds of Alexandria / Groom’s suit: Peppers Formal Wear / Invitations designed by the groom, printed by Optimal Print / Cake: Grounds of Alexandria pastry team / Bomboniere: Chocablock Chocolates / Dancers – Oreades Tribal Bellydance – contact Kellie for more information.